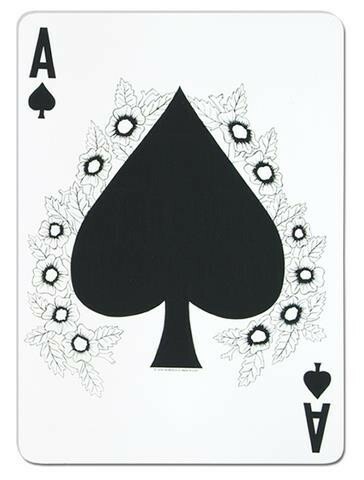 DISCONTINUED Playing cards cut outs that measure approximately 18 inches or 45.8cm. Pack contains four different designs including ace; jack; king and queen. Printed on both sides. Perfect for decorating a casino themed occasion.